Apple iPhone 4’s video calling application Facetime Beta is now coming for your Mac operating system as well. It’s about time! Facetime is the video calling feature in Apple iPhone 4 that allows its users with a Wi-Fi network to use this application on both ends having an iPhone 4, making communication possible and exciting using iPhone camera. This Apple application, originally dedicated to Apple iPhone 4, was not featured in Apple Mac, which no doubt was somewhat an unpleasant experience for users who owned both an Apple iPhone and Mac. But the wait is over and it`s all one again. 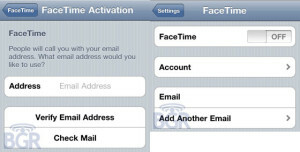 Now you can receive and call anyone using Facetime on his iPhone 4 using your Mac. But this Facetime Beta application is only available for Mac Version 10.4.8 or newer. But according to me this limitation can be taken as the only down side of this offer. Everything else is a treat! Apple`s Facetime is really easy to set up on your Mac. Just get yourself an Apple ID and an email address. And you are done. iPad 2 FaceTime, Camera & PhotoBooth Apps!